We’re a Week In… Still Working on That Resolution? I’m sort of a go-against-the-grain type of person. 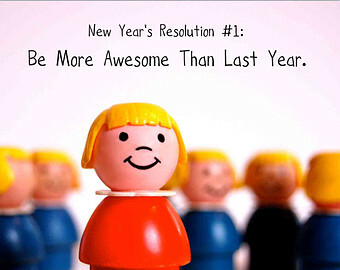 I really don’t like to conform or be considered a “norm”, so I’m not one to make resolutions. Sure in the past I probably tried to come up with some goal, but really I don’t January 1st to tell me to be a better person. Every day is an opportunity to do that. There is no research that supports making a resolution makes a person more active, healthier, a better friend, a better wife, husband, student or whatever. We already know that resolutions are pretty short lived. Why? Because to be truly successful you need to change either your lifestyle or who you are. When your resolution becomes who you are, you have successfully made a lifestyle change. Don’t get me wrong, I’m all for being ambitious and setting goals… I just don’t have the calendar dictate that to me, like I said. Truthfully, I find the word resolution to have a negative connotation. Like I have this huge gap in my life that lacks any positive energy or flow. Like I offer no benefit to society. 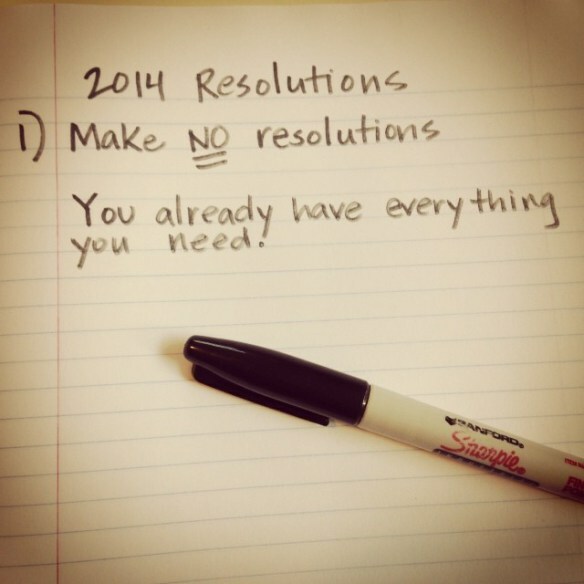 Sure we all have improvements to make and goals to set, but I just don’t buy into the resolutions business. Not only that, resolutions are very overwhelming. We’re talking a year-long “goal” that I would consider normally comes in the form of a lot of sacrifice. How is that going to make me a better person? Thinking too long term about what I should or shouldn’t eat is very daunting. That I can’t have a cappuccino during the week or I need to reduce my intake of chicken fingers? Not going to happen. It’s so restricting and suffocating. Oh man, I think I need a cupcake. On the other hand, I can handle long-term academic, career-related or running goals. I can handle knowing I will be spending a couple of years in school getting a Master’s, or take some teaching-related trainings throughout the year. I love that stuff. I can register for races months in advance because races aren’t really something I need to work on completing. I just do them. So do I make a resolution to take another course or run more races? I don’t think so because I already know I’m going to do these things… So… I don’t get it. Anyway, my “resolution” is to stick with no resolutions. Any moment of any day is a chance to grow as individual. To be a better me for me, and for others. Mmmm chicken fingers…I am definitely 100% a deadline person. I can have all the hopes, daydreams and resolutions in the world disintegrate in no time without establishing and meeting deadlines.